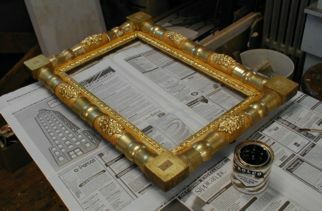 During summers in Wiscasset, Joseph takes advantage of the extra space and good natural light to work on his gilding. 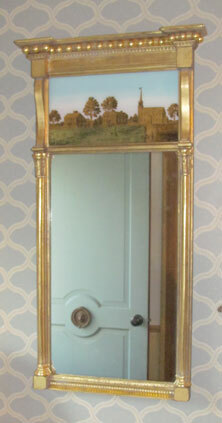 If you have a gilding or restoration project in mind, feel free to send an email and digital images. No obligation or charge for my opinion and estimate. While we spend a great deal of summer time at the corner of Main and Fort Hill streets in Wiscasset, we do not operate there as a retail location. But if you are in the area, please feel free to stop in for a visit. Please call ahead to see if we are in: 207-882-6098. 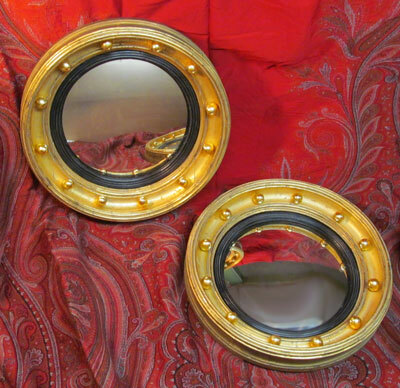 My gilding education includes the Eliot School, in Jamaica Plain, Massachusetts, The Finishing School (Ina and Allan Marx), and the Society of Gilders. I was a member of HSEAD (The Historical Society for Early American Decoration), and have taken instruction from several members of that organization.